The recently leaked HomePod firmware continues to yield clues as to what the public can expect from Apple's "iPhone 8," with the latest report suggesting both front- and rear-facing cameras will support 4K video recording at 60 frames per second. Lines of code discovered by iHelp BR on Thursday point to potential high-resolution recording capabilities for both front and rear shooters, specifically "4K60Video" support. References to the function appear in a block of code related to HEVC, or H.265, encoding, a next-generation video codec due to arrive in both iOS 11 and macOS High Sierra this fall. The advanced algorithms included in HEVC keep file sizes small while maintaining high levels of quality, a benefit for 4K video systems deployed in devices with limited storage or processing power. At this year's Worldwide Developers Conference, Apple SVP of Craig Federighi revealed certain Mac configurations will boast support for HEVC hardware acceleration, including the late 2015 27-inch iMac, early 2016 MacBook and MacBook Pros manufactured in 2016 and beyond. It can be surmised that a next-generation iPhone model will support similar acceleration features, though such features have yet to be officially confirmed. If the code points do indeed reference forthcoming 4K at 60fps recording capabilities, exactly how Apple will manage the feat in both front and rear shooters is unknown. HEVC should help with file management and processor load, but camera hardware limitations have in the past precluded the inclusion of super high-resolution front-facing imagers. Due to design constraints, all front-facing iPhone cameras feature lower resolutions than their rear-facing counterparts. This has been true since Apple debuted its first selfie shooter with the iPhone 4. 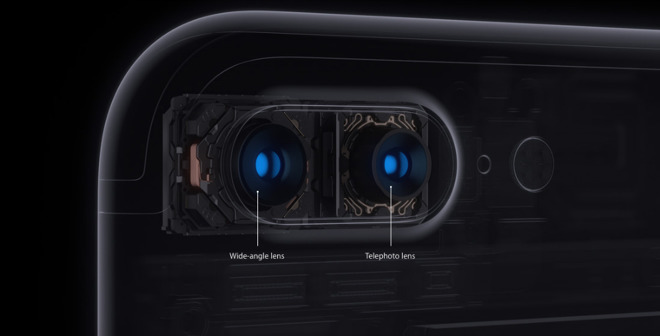 Even the latest iPhone 7 and 7 Plus iterations, the rear cameras of which support 4K video recording at 30fps, sport lower rated front-facing cameras capable of only 1080p resolutions. Apple is widely expected to announce a next-generation flagship iPhone this fall alongside internal updates to the iPhone 7 series. Rumors hold that the new model will boast a full-face OLED display, 3D-sensing camera hardware, wireless charging and more.